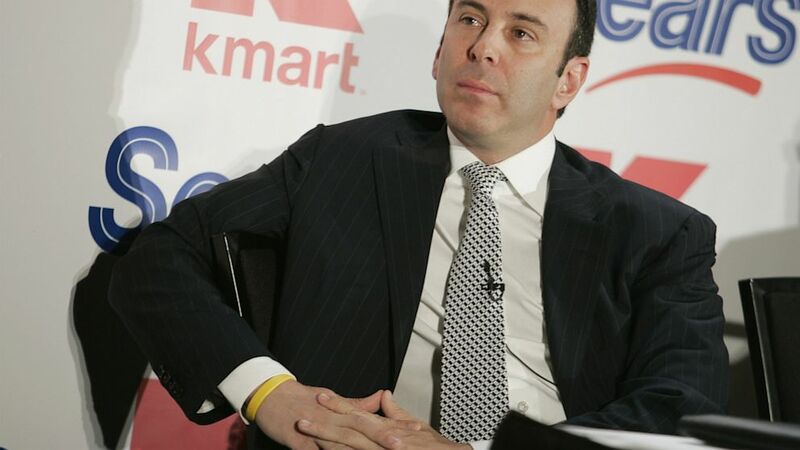 Sears CEO and chairman Edward Lampert said he did pose as "Eli Wexler" online. camera (Najlah Feanny/Corbis) Edward "Eddie" Lampert, CEO of Sears Holdings Corporation, denies using a pseudonym to pose as an employee on an internal social networking system. Chris Brathwaite, a spokesman for the company, said the report that Lambert used a pseudonym to snoop on employees on its Pebble internal network is not true. "Any suggestion that Mr. Lampert was using a pseudonym on Pebble to interact with associates is patently false," Brathwaite said. BusinessWeek reported that Lampert, 51, used the online pseudonym "Eli Wexler", as Eli refers to someone who attended Yale University, where Lampert went to school. Lampert became CEO of the retailer earlier this year after Louis J. D'Ambrosio stepped down for family health matters. "[Lampert] left critical comments on other people's posts, according to more than 20 former employees; he even got into arguments with store associates," the magazine reported. "Word got around that Wexler was Lampert. Bosses started tracking how often employees were 'Pebbling.' One former business head says her group organized Pebble conversations about miscellaneous topics just to appear they were active users. Another group held 'Pebblejam' sessions to create the illusion they were using the network." Lampert, who took control of Sears in 2005 after engineering its purchase by discount-retailer Kmart Holdings Corp., then took the helm as CEO in February, is struggling to turn aroundthe retailer. The former hedge fund manager has seen sales slide as losses topped $4 billion in the last two years. Sears Holdings, based in Hoffman Estates, Ill., launched Pebble company-wide in the summer of 2009, Brathwaite said, which allows employees to interact online with each other. Before Pebble, the company beta-tested a system called Yammer with about 5,000 employees. Brathwaite said he does not know whether Lampert used a pseudonym for Yammer when it was in use for about three months starting March 2009. At the time, Lampert was chairman. Records from the company show Lampert posted on Pebble using the name "Edward Lampert." In messages shown to ABC News, Lampert posted on Aug. 12, 2009 at 3:40 p.m. saying, "Agree that some like anonymity. That is not what Pebble is all about. It is a communication platform to allow people to express themselves, to increase transparency and improve the company. Anybody uncomfortable, need not participate. All welcome to." A thumbnail photo of Lampert is shown next to his name. At 3:58 p.m. later that day he posted, "I am looking forward to having more people share their ideas. For those who are shy, maybe somebody can set up a group to work with them to communicate their ideas more comfortably and constructively?" Brathwaite describes Pebble as a social networking channel, more like a message board and not like real-time chatting services like Instant Messaging or Gchat. Initially Pebble had a limit of around 200 characters, but it has since been expanded. When asked how often Lampert uses Pebble, Brathwaite said Lampert "talks to employees regularly." "He asks questions, gets feedback, shares his thoughts on the company and his strategic initiatives, our mission and our culture," Brathwaite said. The company doesn't force employees to use Pebble, but Brathwaite said there are numerous benefits, especially company transparency, which Lampert has encouraged. "I can interact right now with a store associate if I wanted to. That's the beauty of it: it allows us to see what's happening in the field and it makes the world smaller," he said, adding that retail workers "on the frontline" can communicate with corporate headquarters about store issues.